Imagination is not a limit for budding armature architects now. The 3D Interior Room Design app for Android allows you to shade your walls with 3D designs. This design tool created by HB Conception Virtuelle INC is a residential interior designing software. This Android lifestyle app is very fast and easy to use as, the 3D animated room created by you can be modified with colors and items which will evoke an impressive realistic image. Create a 2D plan and do your interior design in 3D. You can download 3D Interior Room Design App for Android for $4.79 from Google Play Store. The color of your imagination can be brought alive on the walls as you could paint with Sico 6000 color. Moldings like baseboard, chair, ogee, casing etc. can be fixed roughly first according to your preference. Doors and Windows, Floor, Brick, Wall pictures, Wall panels, Fireplace, Area Rugs, Curtains, Wall Tattoos, Wall papers are other features of this app. 3D Interior Room Design app for Android is for the wall design; unfortunately there is no design for furniture as of now. However, this will be included in the next version. The app requires Android 2.2 and above and an internet connection is very much important for the growth of the libraries. 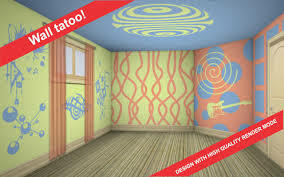 Give shades to your wild imagination with 3D Interior Room Design Android app. Let your creativity sail in the chariot of hues and make memorable moments for you each day. Let the vibrant shade of the walls earn you a thousand smiles each day.